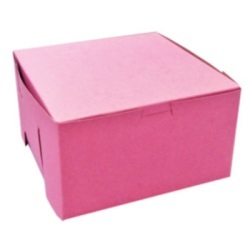 Navigate: StoreFront / Bake Shop / Packaging / Bakery Box - Pink - 7"
Holds 4 cupcakes or muffins. Use with cupcake insert. One-piece folding bakery box 7" x 7" x 4"